Publicis Groupe agency SapientNitro has entered into a multiyear deal with James Cameron's Lightstorm Entertainment and 20th Century Fox to bring a digital Avatar experience to life. The project will kick off before the second film debuts in 2018 and extend through the release of the next four sequels. "A studio has to worry about 20 movies in one year. We want to worry about one movie for 20 years. We have tried to envision how we manage the brand of Avatar and how we make it accessible for fans around the world," Jon Landau, Avatar producer and chief operating officer of Lightstorm Entertainment, told Adweek. The deal, which has been in the works for just over a year, is designed to augment the world of Avatar and Pandora, a fictional moon within James Cameron's Avatar universe. To sell moviegoers on the film, the agency will invite fans of the franchise to learn more about the world of Avatar and participate in it. While Sapient will bring its expertise of weaving technology and creative together, the agency also collaboarted with Hewlett Packard Enterprise. Many details of the project are still unconfirmed, as much of the work is still being developed. The SapientNitro team has shared some general concepts that it's thinking of pursing to create this virtual experience. Late last year, Disney's Animal Kingdom in Orlando revealed plans to open a World of Avatar park in 2017. While much of the construction will rely on replicating the actual world, from the flora and fauna to the characters from the film, the deal between Cameron's Lightstorm and SapientNitro could allow for unique tech-based experiences. "Nobody has ever really thought about how they all tie together in a fan experience point of view, that's what we get to think about. That's just profound on so many levels that it's exciting, it's bold, it's kind of fast," David Thorpe, vp of strategy and analysis at SapientNitro, told Adweek. 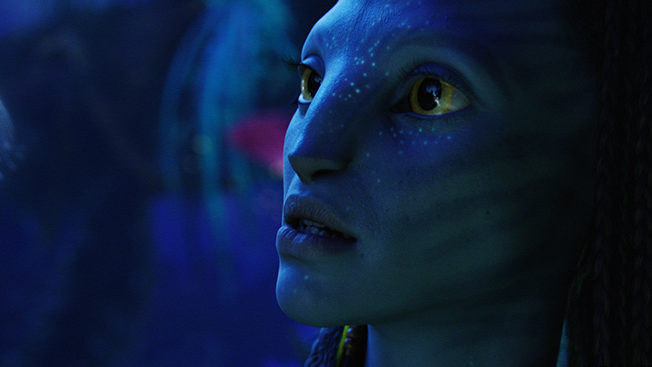 Franchise projects, which offer opportunities for the digital ecosystem include an Avatar-themed Cirque du Soleil show, TORUK, which has its own website where fans can go and explore the world of Pandora, unearth different artifacts and learn about the purpose of those different items or creatures. Global Experience Specialists has also been working on creating interactive museum exhibits. The global traveling exhibit not only teaches people about the Na'vi culture and life forms on the planet. The Sapient team is already thinking about new and exciting ways to bring the Avatar universe to life for fans, putting the fan experience at the center of its creative process. Thorpe said the team kicked off the project by paying attention to user needs and insists the agency will continue to do so as the next four films roll out. "We want to be able to open up the wonders and the science of Pandora to users in a way that meets their needs of curiosity and exploration," Thorpe said. "What [James] Cameron has already created, the breadth and depth of his imagination, and the rigor that he brings to all of that, has created such an enormous world of potential and opportunity."